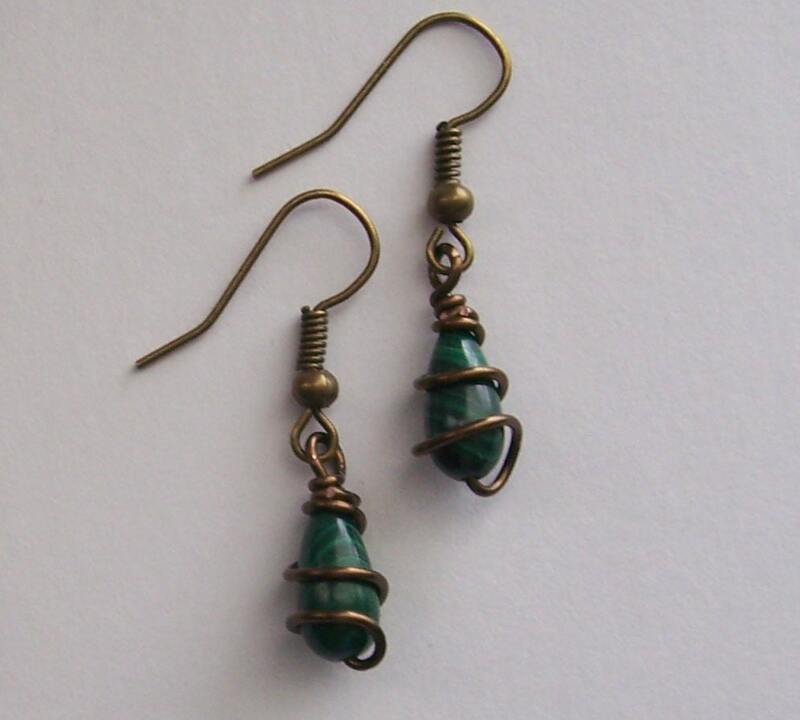 Two Malachite teardrops are hand wrapped in bronze tone copper wire, suspended from bronze tone ear wires. 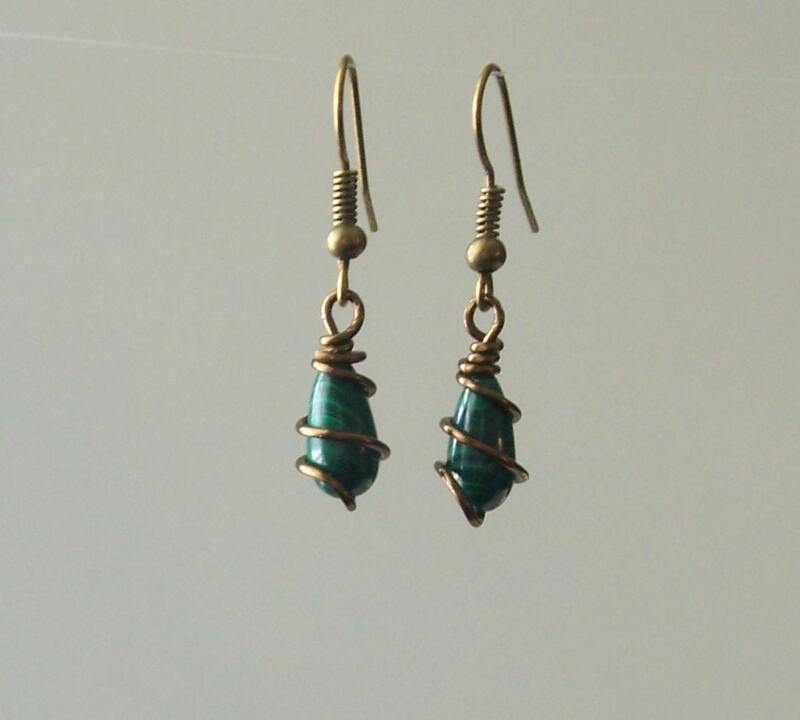 The teardrops measure 1/2 inch. 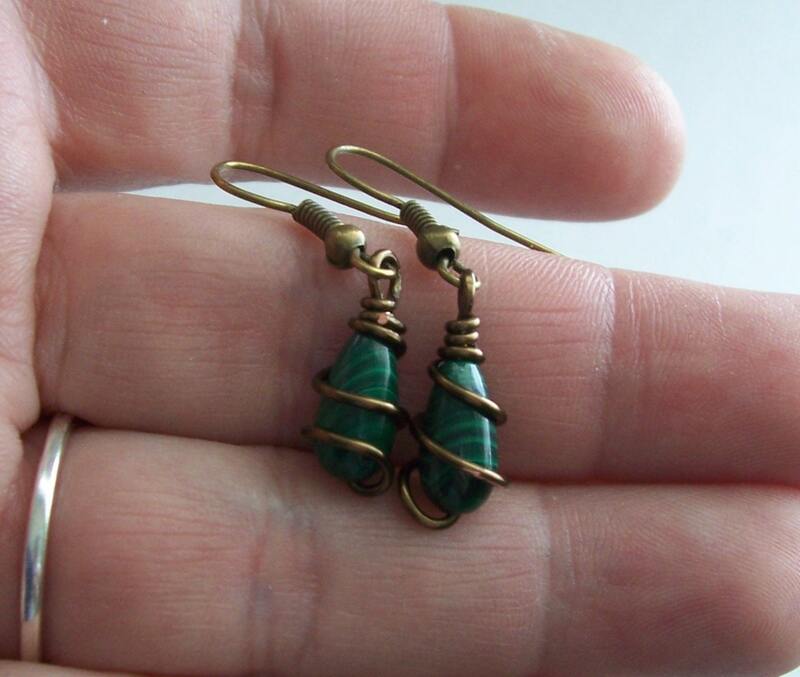 The beautiful green color of the malachite is complemented by the warm bronze, giving it a classic, vintage feel that is always appropriate with any outfit.